A kyrielle is a French form that was originally used by Troubadours. In the original French kyrielle, lines had eight syllables. Written in English, the lines are usually iambic tetrameters. The distinctive feature of a kyrielle is the refrain in which the final line of every stanza is the same. The name of the form comes from the word kyrie, a form of prayer in which the phrase "Lord have mercy" (kyrie eleison) is repeated. If you want to learn more about the kyrielle you can read this Wikipedia entry. or the article Kyrielle: The Kyrie Reformed. So, there's your challenge for the week. I hope you'll join me in writing a kyrielle. Please share a link to your poem or the poem itself in the comments. 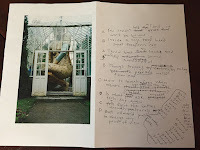 I do hope you'll take some time this weekend to check out all the wonderful poetic things being shared and collected by Irene Latham at Live Your Poem. 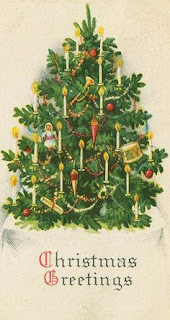 Happy holidays to all and happy poetry Friday friends! In this season of anticipation, a poem of waiting seemed appropriate today. I do hope you'll take some time to check out all the wonderful poetic things being shared and collected today by Diane at Random Noodling. Happy poetry Friday friends! The pantun is a Malaysian verse form, not to be confused with the pantoum, a French verse form. Here is what Poetry Magnum Opus says about this form. 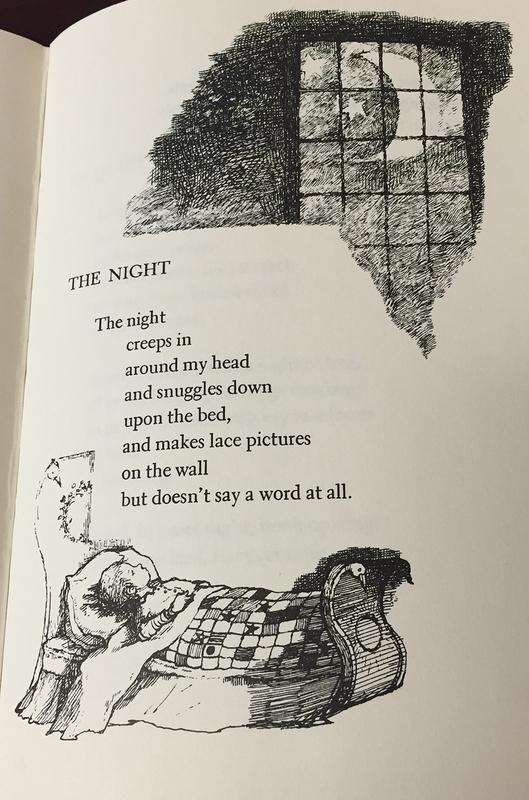 most often a poem in a single quatrain made up of two complete couplets. syllabic, all lines are of the same length, lines are written in 8 to 12 syllables each. written in two complete couplets. So, there's your challenge for the week. I hope you'll join me in writing a pantun. Please share a link to your poem or the poem itself in the comments. Every so often I'm lucky enough to find poetry books in a local independent bookstore that sells both new and used books. Here are my recent purchases, bargains at under $20 for the lot. And boy, are they good ones. 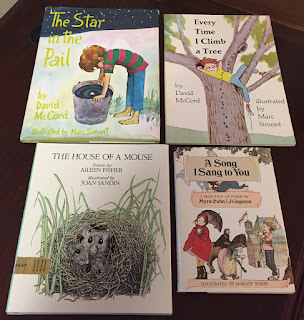 There are two written by David McCord and illustrated by Marc Simont, THE STAR IN THE PAIL and EVERY TIME I CLIMB A TREE. There is a wonderful book all about mice by Aileen Fisher entitled THE HOUSE OF A MOUSE. 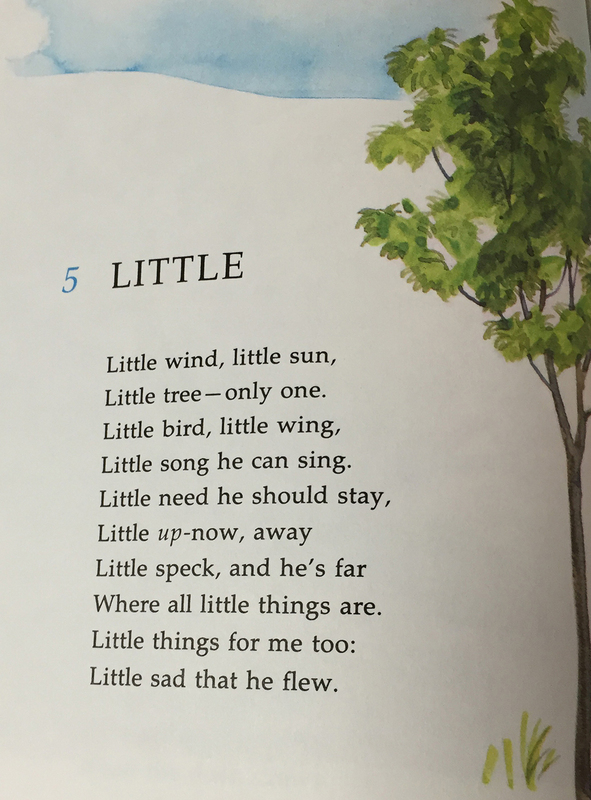 The last book is little one by Myra Cohn Livingston entitled A SONG I SANG TO YOU. This page is from A SONG I SANG TO YOU. 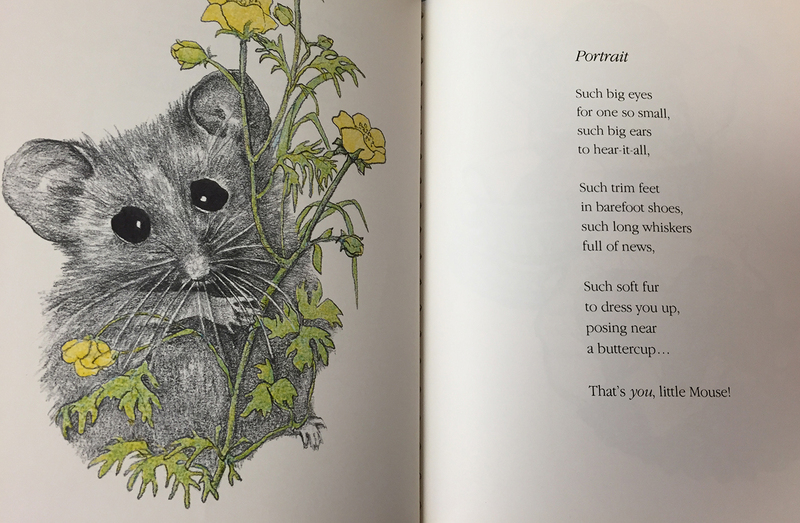 This adorable illustration (by Joan Sandin) accompanies the poem Portrait, by Aileen Fisher. My favorite part is "Such trim feet/in barefoot shoes." These two are from the books by David McCord. If you don't know the work of David McCord, you can learn more about him in this NCTE piece from the Perspectives Column. Here's an excerpt from the interview. "It's hard for me to say why man creates poetry. I suppose it's a kind of primitive urge in him to attempt to add his own small stitch to the infinite weave of the world. This is the oldest form of art: The art of creating form from something unformed—as simple as kneading bread. Nowadays, you can pass a pizza parlor and watch a man with bare arms making pizza. That's quite an art. There's a kind of poetry in the way he spins an enormous circle of dough until it flattens to the absolute right thinness." Late Saturday I got to poke around in one of my favorite shops, Parcel in Montclair, NJ. It is a quirky little shop where you can open cupboards and drawers and find all kinds of interesting bits. 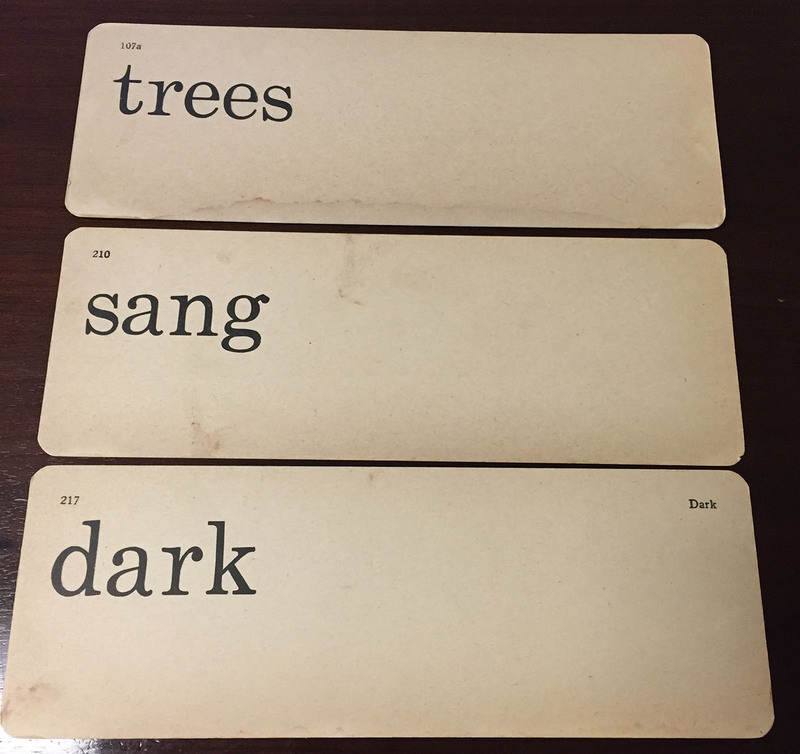 I found a pile of old flash cards and thought they might make an interesting poetry prompt. Choose any form that works for you. The only rule is that you must use these three words or some form of the words. 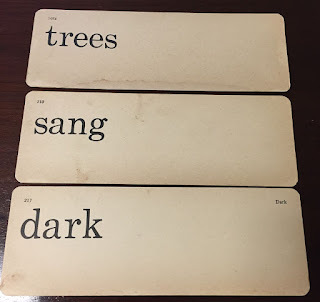 I hope you'll join me this week in writing a flashcard inspired piece. Please share a link to your poem or the poem itself in the comments. 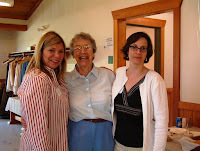 Today I'm singing the praises of my sisters ... my out-of-this-world real life sister who is 10 years older than me and will soon be celebrating her own very big birthday (I'll let you do the math), and my writing sisters who gifted me with a year of poetry by indulging my request to write together. Let me begin with my big sister. Here we are as youngsters and much later on (in 2006) with our mom on the occasion of our Dad's 80th birthday. I may have complained when I was younger about having a second mother, but these days I'm forever grateful for her love and guidance. 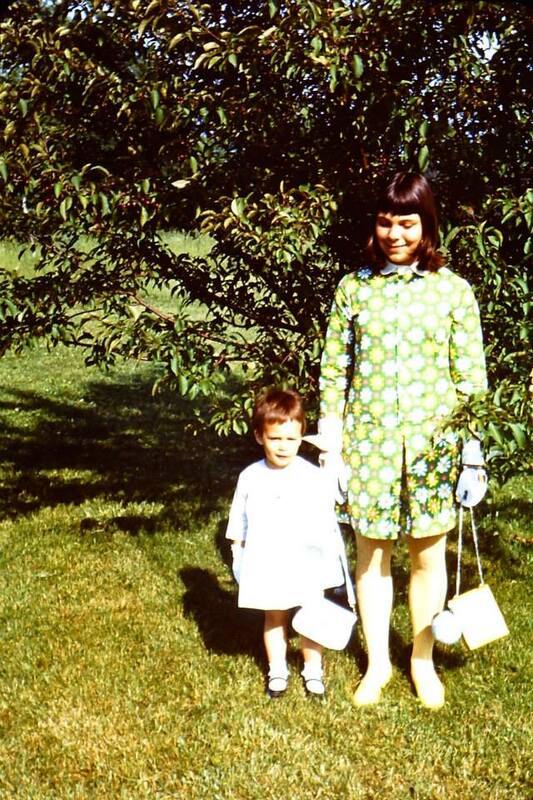 I hope my next 50 years with her are as good as these have been. The other sisters I am truly grateful for are my poetry sisters—Tanita Davis, Kelly Fineman, Sara Lewis Holmes, Laura Purdie Salas, Liz Garton Scanlon, and Andi Sibley. Our sisterhood began on November 20, 2007 with this message from Liz. Let's just call her the instigator. 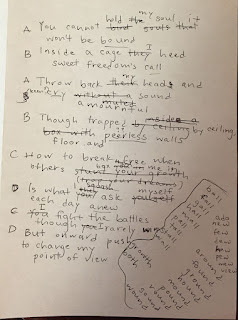 I had so much (torturous) fun participating in a crown sonnet writing project recently that I’m ready to try it again, crazy ‘though that may be. And I thought Poetry Friday bloggers might make the perfect crown community. What do you think? I’ve gotten a few yeses already – from Sara Lewis Holmes, Kelly Fineman and TadMack (aka Tanita Davis) – plus me. We need seven folks total and Kelly suggested that you might be one of the missing poets we’re looking for! (Suggestions for others are welcome). Once Laura and Andi were included in the mix, we set off on a grand adventure. Our first shared piece of work debuted on Friday, April 11th. We wrote a number of pieces sporadically over the years, but last fall they gave me the gift of a collective YES when they all agreed to write one piece together each month. It began with a triolet. 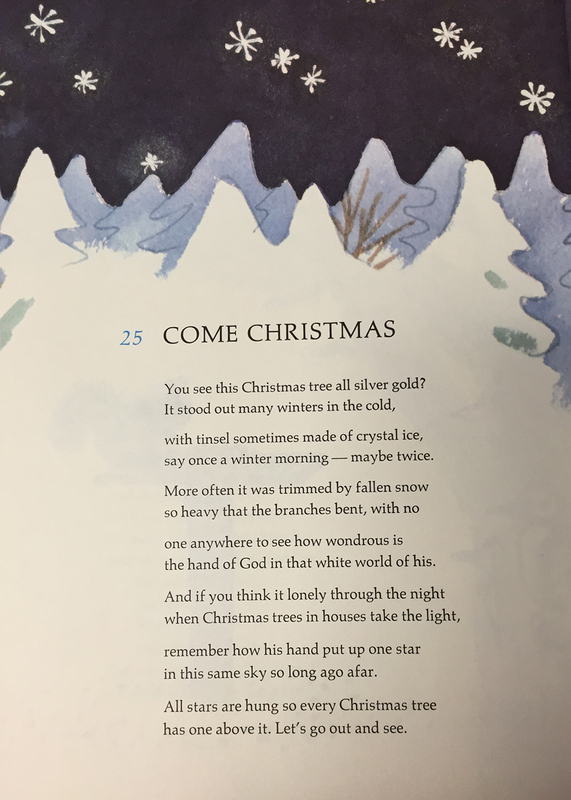 The work of this year will end in January with a crown sonnet. In this busy, end-of-year season we're taking a moment to reflect. Over the last year we've written to the following forms or prompts and published on the first Friday of the month (mostly). Here they are listed by the month published, which means we spent the month (or day!) prior to publication working on them. July - "In the style of ..." - Who picked e.e. cummings?! Oh, and let's throw in some voice recording while we're at it! That last one was tough for me. (Heck, they were all hard!) 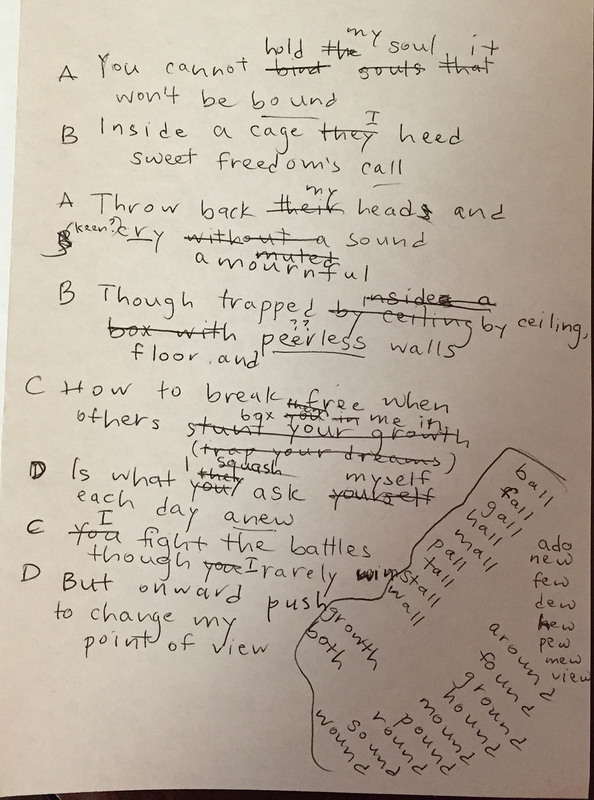 I wrote my poem on an airplane the day before it went live. I was flummoxed by the image and had no idea what to write about or in what form. I printed a copy of the image and went to work on a 6 am flight from Richmond to LaGuardia. This is how ALL my poems begin, with pen to paper. It's where I work out most of the kinks before I finally type and post the work. Here's how it began. I have no idea how I got here, but when I began to write I realized the word sonnet was rattling around in the back of my brain. Without a rhyming dictionary at hand, I listed rhyming words. When I began to edit I went from third person to first. I have several pages that look like this. My poetry notes and notebooks are NOT neat and pretty, but they clearly show the process (and the struggle) of trying to find just the right words. If I'm honest with myself, I'll admit that I love rules and adore forms. I should not have been surprised that I went here. I do find it much easier to write when I know (or can pretend I know) what I'm doing. Throwing in a theme can be an added challenge, but it makes the writing that much more interesting. In grateful love and admiration for this amazing group of women who gathered me into their fold, I am sharing the first villanelle I ever wrote (after LIZ threw down another gauntlet in October 2009 and asked us to write a villanelle using the words Thanksgiving and friend). Boy, would I love to revisit this one. However, the beauty of our work this year is that we have given ourselves permission to share our drafts in all their glorious messiness. Perfection is not the goal, but rather sharing bits of ourselves with each other and the world. Poem ©Tricia Stohr-Hunt, 2009. All rights reserved. Thank you dear poetry sisters. There are no words to express my gratitude for your support and encouragement in poetry and in life. That's a wrap for today. I do hope you'll take some time to check out all the wonderful poetic things being shared and collected today by Buffy Silverman at Buff's Blog. Happy poetry Friday friends!